On New Year’s Day 1979, Bruce Springsteen & the E Street Band concluded their seven-month Darkness on the Edge of Town tour, one of the greatest in rock history. Laying low since then, it was quite exciting to hear that in late September Bruce and the boys would reconvene for the two No Nukes shows at the Garden. 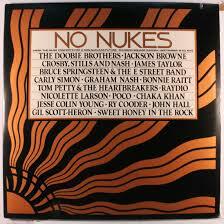 These shows were organized by John Hall (from the band Orleans) with help from Bruce’s friend, Jackson Browne, to raise awareness about the concerns with nuclear energy. At the time, this was quite a surprise for Bruce to be making any kind of political statement. Although he was bold in stepping out this far, Bruce stopped short of making any direct statement about the cause. 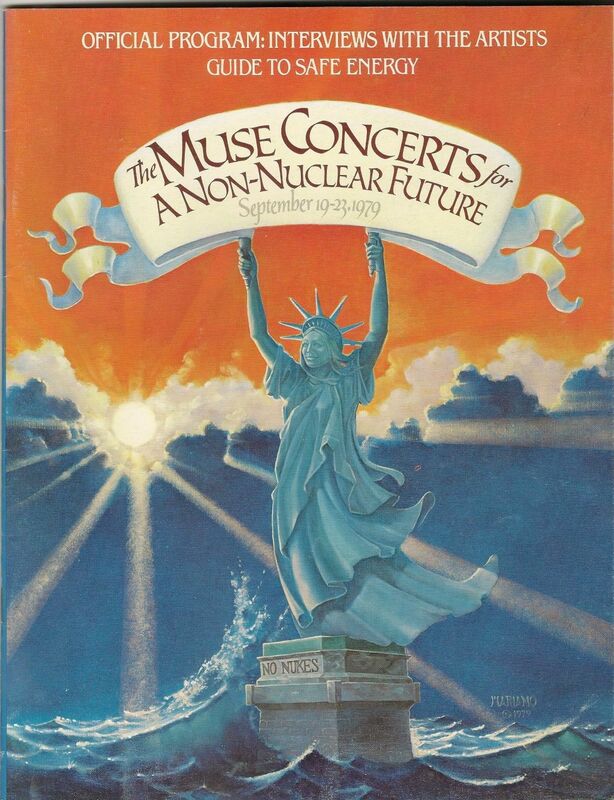 As the photo below shows, he wound up being the only artist in the concert program to not have a printed message about nuclear energy. Musically it was like Bruce and the band had never left the road. Their nightly set however was shortened to an hour and a half—a sprint by Springsteen standards. The song selection echoed the recent tour except for the surprise added bonus of one new song—the debut of “The River” which would later become the title track of his next LP. Another treat was Jackson joining the band to help Bruce out on a version of Maurice Williams “Stay,” a song Jackson popularized on his recent live record. 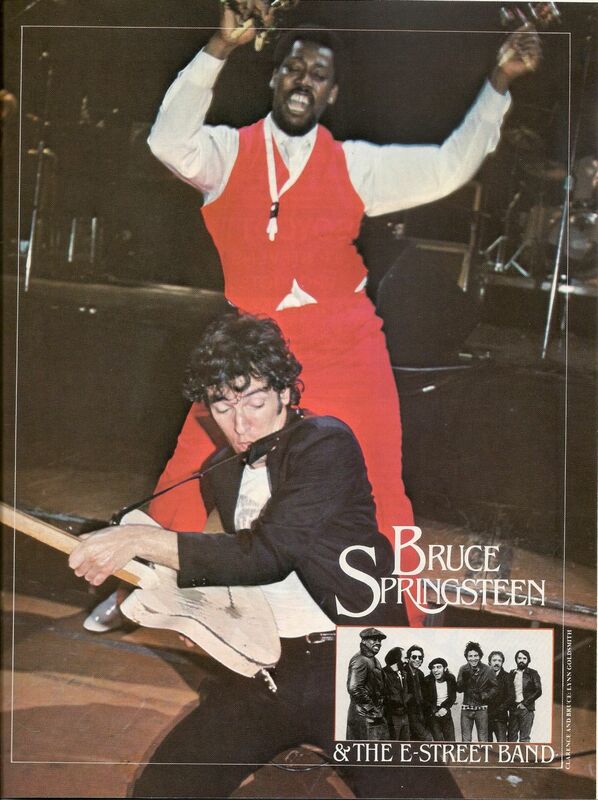 What was really odd for Bruce fans about this show was the fact that it included acts playing before Springsteen—something that no longer took place for obvious reasons. Bonnie Raitt was one of the No Nukes openers. At one of her recent shows, I heard her say how she never wanted to follow Bruce Springsteen back in the days when he was still an opening act. (Here is one famous time that happened.) Now tonight, with Bruce as the headliner, poor Bonnie, like most of the other openers, had to suffer through the rude and annoying cries of “Bruce” from restless Springsteen fans during her set. These were the last NY-NJ Springsteen shows I saw before moving to Texas. The following year, I happened to be in New York City to see the feature film made from these shows during its first run. I of course bought the live album as well.